In The Accumulation of Capital, Rosa Luxemburg started from the aspect of capital accumulation to explore the source and internal mechanism of capitalism’s crisis and make an etiological diagnosis to it. First, the book defines capital accumulation and crisis, and stresses crisis is a special external phenomenon and only an element in the reproduction cycle of capitalist reproduction. Based on the definition, the book evolves from the analysis of the phenomena of crisis to capital accumulation, the essence of crisis, discovering capital demand shortage is the source of crisis. Then, the book examines the significance of capital accumulation to non-capitalist classes and countries against the backdrop of capital’s struggle for existing accumulation conditions, indicating that capital accumulation paves its way in the struggle between capitalist and non-capitalist working methods and achieves its targets through sacrifice the benefits of non-capitalist classes and countries who are the victims of capital accumulation and sufferers of crisis. Finally, the author analyzed the limit of capital accumulation based on the capitalist mode of production, and proved that capital accumulation and capitalist mode of production will end when non-capitalist countries complete capitalization. During the global capitalization, a worldwide socialist revolution is necessary because the essence of the revolution is to replace capitalist economy with socialist economy and eradicate capital accumulation and crisis. Throughout the century since the publication of The Accumulation of Capital, capitalism has swept over the natural economy and simple commodity economy of all non-capitalist countries across the world and driven them into modern international financial system. But, this doesn’t mean Rosa Luxemburg’s theories on crisis are outdated. Perhaps, her terminologies “capitalist country and non-capitalist country” were not appropriate. But the privative structure of “capitalistic and non-capitalistic production mode” she brought forward emphasized the leading position of capitalist countries in capital accumulation, insisted on researching capital accumulation based on the historical environment and limit of capital accumulation, and unveiled the dialectical relationship between capital accumulation and crisis etc. The Accumulation of Capital is still very helpful for us to understand the essence of global financial crisis and seek for the path for underdeveloped countries to shake off the crisis. So, in this sense, the book is a valuable theoretical heritage bequeathed by Rosa Luxemburg to us. At the beginning of The Accumulation of Capital, Rosa Luxemburg definitely proposed that the book aimed at studying “the problem of the reproduction of the entire social capital”[①]. Then she analyzed the connotation and characteristics of “Reproduction” and “Reproduction of the Entire Social Capital”. According to her, reproduction is “a repetition, renewal of the process of production”[②] exists in all social forms of human history as a general characteristic of human being’s production, while the entire social capital is a special form showing capitalist production’s characteristics. Thus, reproduction of the entire social capital is a repetition and renewal of capitalist production. Then, what are the relationship between the repetition and renewal of capitalist production with crisis? Why does “the problem of reproduction of the entire social capital” become a research object of the crisis theory? How can the research form a crisis theory? These questions involve some fundamental problems on how to understand and establish the crisis theory. Rosa Luxemburg made theoretical and historical analysis and demonstration to these questions. Rosa Luxemburg presented theoretical interpretations from the analysis to the essence and characteristics of processes of capitalist production. According to her, capitalist production was the production of both physical commodities and surplus value. Of which, the former is just the material carrier of capitalist production while the latter the essence of it. As the essence of capitalist production, the surplus value production consists of two interconnected parts, one is the production of surplus value, including production material purchase, labor force purchase and actual production, and the other is the realization of surplus value, i.e. transforming the commodity with surplus value into currency, or the process of capital production or capital accumulation. Of these two parts, capital accumulation determines whether capitalist production and expanded reproduction can continue and capitalism can survive. When capital accumulation smoothly goes on, surplus value can be transformed into currency with which capitalists can reproduce or expand production scale to gain higher surplus value. On the contrary, in case that capital accumulation cannot proceed, surplus value cannot be transformed into currency, indicating that the previous surplus value production failed and capitalists could neither receive enough currency to maintain production nor expand their production. In this case, if capitalists could not get currency from other sources, their production would suspend, thus economic crisis would occur. Therefore, the breaking-out point of capitalist economic crisis is not in surplus value production but in capital accumulation. Capital accumulation has direct, internal connections with capitalist economic crisis. Due to these connections, capital accumulation, or reproduction of the entire social capital, becomes the research object of the crisis theory. Historically, Rosa Luxemburg stated the relationship between capital accumulation and economic crisis and made further research and reflection on it through three controversies on “production of the entire social capital” in the 18th century. The three rounds of historical disputes she said were: the disputes between Sismondi and Ricardo School, Say and Malthus in 1820s; between Rodbertus and Kirchmann in 1840s-50s; and between legitimate Marxists Stuve, Bulgakov, Tugan Baranovski and populists Vorotsov and Nikolayon in 1880s-90s. Rosa Luxemburg analyzed the relationship between these controversies and the economic crisis occurred during these three periods, clarifying the evolution process of capital accumulation from discussions on “reproduction of aggregate capital” and the relationship between capital accumulation and these crises. She stated that the disputes between Sismondi and Ricardo School, Say and Malthus originated from Sismondi’s reflection on the early economic crises of the U.K. in 1815 and between 1818 and 1819. These early crises were largely due to Napoleon’s Continental System, which blocked the connections between the UK and the European market, triggered long-term wars and weakened the people’s purchasing power. From the crises, Sismondi discovered the role of income and consumption in capitalist reproduction, brought forward the question on relationship between income and capital, and explored it as a puzzle on capital accumulation, thus transferring economic focuses from on production and constant capital to on capital accumulation and variable capital. So, capital accumulation became the theme of crisis research and saw a further development in the 2nd round disputes. These disputes “between Rodlbertus and v. Kirchmann took place under the immediate impact of the crises in 1837, 1839, 1847, and even of the first world crisis in 1857”[③]. Different with the earlier crisis, the crisis was caused by the internal shortage of capitalist market instead of external factors, and accompanied by the cotton spinners’ struggle in Lyons, France and the Chartist Movement in the UK. The interweavement of internal contradiction of capitalist economy with the class contradiction between workers and capitalists featured the crisis. Rosa Luxemburg pointed out that this crisis was “first head-on clash between the two worlds of capitalist society ------ an epoch-making eruption of the contradictions latent in capitalist society”[④] and offered more materials to economists in this period for their exploration on economic root of the crisis. The dispute between Rodbertus and Kirchmann rolled out on how to explain the economic root of economic crisis. In the dispute, Rodbertus and Kirchmann analyzed key elements in capital accumulation, such as distribution system of national production, capitalist market and foreign trade, and explained the root of crisis through investigating passive and negative effects of these elements. Kirchmann advanced a basic proposition: “crises are caused by accumulation”，and emphasized “in a society consisting exclusively of workers and capitalists, accumulation will be impossible.”[⑤] Rodbertus described the periodicity of crisis and identified it as a characteristic of capitalist reproduction. In this way, they demonstrated internal connections between crisis and accumulation from different angles. Rosa Luxemburg indicated that “Here the problem of accumulation, was completely identified with the problem of crises.”[⑥] Although disagreeing with them, Rosa Luxembourg recognized their research was much more profound than those in the first round disputes. On the other hand, these two rounds of disputes both occurred in Western Europe, and involved, much or less, directly or indirectly, external markets of capitalism. Different with these two rounds, the third round dispute happened in Russia, a country with underdeveloped economy and politics then and a social basis of the domestic economic crisis in 1870s-80s and its consequent spiritual crisis. At the crisis, Russian populists and legitimate Marxists had to consider the fate and future of Russia, the relationship between internal and external markets of capitalism, and the outlook of their domestic market. Thus, these questions became the theme of the third round dispute. In the third round, legitimate Marxists armed themselves with Marx’s analysis and schema on social reproduction in the second volume of Das Kapital to investigate the capitalist crisis in Russia, and objectively presented the underlying relations of Marx’s theories on reproduction, capital accumulation and crisis. Rosa Luxemburg affirmed the significance of legitimate Marxists’ introduction of Marx’s reproduction theory into the crisis research, but criticized their points as “a slavish copy of Marx’s diagram of enlarged reproduction”[⑦], and going to the other extreme side of Marx’s diagram of enlarged reproduction, from which they drew the conclusion that “capitalism can go on for ever……socialism no longer appears an historical necessity”[⑧], so, legitimate Marxists degraded to the bourgeois camp. Through the aforesaid theoretical analysis and historical research, Rosa Luxemburg not only defined the internal relations among the reproduction of aggregate capital, capital accumulation and crisis but also identified the starting point of the research: Marx’s theory on reproduction. This shows Rosa Luxemburg’s proposal on researching Marx’s reproduction and capital accumulation theory was not a random selection but her reflection on capitalist crisis. Therefore, only re-reading The Accumulation of Capital from the viewpoint of crisis can we understand the thought of the work more profoundly. That is the basis for this thesis. II. Where is the root of the crisis of capitalism? Regardless of the difference of the views of different schools during the three rounds of grave doubts concerning the capital accumulation and crisis of capitalism in the 19th century, the commonalities of these views indicate a fact that: there is internal connections between crisis and accumulation of capital. To find the root of the crisis of capitalism, study on accumulation of capital cannot be avoided. Rosa Luxemburg confirmed the fact. She believed that the fact was absolutely not clear and could not be set as precondition for the study without analysis. On the contrary, she believed that it was a complicated problem and should be criticized and reviewed, because there were questions behind the fact: What's the relationship between capital accumulation and crisis? Are they one issue or two issues? If they are two issues, how are they connected? Rosa Luxemburg believed that, the issue itself was about the root of the crisis of capitalism, and it was also a fundamental part of the study on the crisis of capitalism; therefore, it would not be possible for the Marxist crisis theory to be based on scientific analysis if any problems concerned could not be solved. That's why Rosa Luxemburg made the study on the root of the crisis of capitalism as the basis of her crisis theory. She explored the relations between crisis and capital accumulation in a critical way and specified the root of the crisis of capitalism in theory. It clearly shows that Rosa Luxemburg's opinions on the crisis of capitalism and the capital accumulation are opposite to the opinions of bourgeois economists. The latter made studies on crisis in order to eliminate crisis. Therefore, when they found that the crisis was a result of capital accumulation, they considered the crisis and capital accumulation as the same issue. Therefore, they tried to eliminate accumulation in order to eliminate crisis, because they believed that the capitalist reproduction would be developed without limit as long as the crisis is eliminated. The difference of their opinions is how to eliminate accumulation. Rosa Luxemburg believed that, fundamentally, the bourgeois economists made the mistake because of their lack of understanding of the essence of the capitalist reproduction, which would not be eliminated by mankind. Without capital accumulation, the capitalist reproduction would be made general reproduction that exists in any social formations. Being unaware of that, the bourgeois economists viewed accumulation as an accidental phenomenon in the capitalist reproduction and therefore believed that it could be eliminated. On the contrary, Marx viewed capital accumulation as an essential feature of the capitalist reproduction and an inevitable part that cannot be eliminated from the capitalist reproduction. He believed the crisis to be the "special external phenomenon of accumulation and an element of the capitalist reproduction cycle". It indicates that crisis and accumulation are two different issues. The inevitability of accumulation decides the inevitability of crisis. The studies of the mankind on the crisis should target at finding out where crisis is come from and which element of accumulation decide it. Therefore, Rosa Luxemburg reversed the direction to study on crisis through study on accumulation, but not to study on accumulation through study on crisis. To study on crisis through study on accumulation is to reveal the root the crisis of capitalism by the essential characteristics of capitalist reproduction. Rosa Luxemburg began the study and analysis on Marx's diagram of enlarged reproduction. She believed that Marx's diagram proposed to explain the possibility and limitation of accumulation through the proportion and relationship between means of production and means of consumption. However, further analysis should be made first on the principle of the diagram: “the accumulation of Department II is completely determined and dominated by the accumulation of Department I……Department I has taken the initiative and actively carries out the whole process of accumulation, while Department II is merely a passive appendage.” The principle is about the accumulation in the capitalist society. However, it can be adjusted for application in socialist society, because the socialist society aims to meet the requirements of the working people for consumer goods to the largest extent. In that case, the increased demand for consumer goods must result in expanded production, which must stimulate greater demand for consumer goods. Marx's schema is also fit for a society with adjustment, namely expanded reproduction under planned economic conditions. This means that, the relationship between the means of productions and consumption is not enough to explain the accumulation in the capitalist society, for which one more condition is needed, namely "the effective demand for commodities must also increase.” Marx considered this condition as the basis for expanded capitalist reproduction. Here is a question: “Where is the continually increasing demand come from?” For this question, Rosa Luxemburg mentioned the second point: significance of "the effective demand for commodities" to accumulation. She believed that, to enlarge production, the capitalists must transform the goods as surplus value obtained in the production process into money, which was a process of realization of surplus value as well as a stage for monetization in the production process, in which “the surplus value must therefore shed its form as surplus product before it can re-assume it for the purpose of accumulation.” Concerning this stage, there is another question: Who will buy the goods as surplus value? To use the realized surplus value to expand production scale, the buyers should not be workers or capitalists defined in the schemas of Marx, but should be third parties other than the workers or capitalists; otherwise, it's equal to that the workers or capitalists defined in the schemas consumed the surplus value. This means that the capitalists could not obtain money for expanding production from the exchanges. On the contrary, the third parties will realize the surplus value and get money that is more than their investment in surplus value production. In that case, the money may be used to expand production. However, in this way, accumulation will exceed the scope of the schemas. That's to say, capital accumulation must rely on the demand of the third parties other than the workers and the capitalists, namely the "effective demand for goods". Without the demand of the third parties, the chain of capitalist reproduction will break. Then, crisis will burst out. Obviously, it deviates from the principle of Marx's diagram of enlarged reproduction to make accumulation based on the demand of the third parties. The principle of Marx's diagram of enlarged reproduction gives priority to production first and then consumption. The accumulation of production controls the accumulation of consumption. The "effective demand for commodities" highlights the core position of demand in accumulation. Therefore, it is the objective and realistic conditions but not the motives of capitalists for production that play a decisive role; it is not the production technology but the consumption demand that decides the realization of accumulation; consumption decides production. Rosa Luxemburg believed that, it's not people's plan to make the deviation; instead, the deviation origins from the capitalist reproduction. She believed that Marx's diagram of enlarged reproduction just mentioned the motives and technical conditions for capitalist reproduction. However, the reproduction should not follow the proportion specified in Marx's diagram. It would continuously deviate from the diagram in the process of pursuing market demand. Therefore, crises might frequently happen until the general crisis of capitalism breaks out and the capitalism goes to its end. From this perspective, the crisis of capitalism does not happen in the process of producing surplus value but in the process of realizing surplus value; it doesn't happen due to the accumulation and innovation of production technology but due to the lack of accumulation of consumer goods and limitation of social conditions for production, specifically the lack of demand for money. The conclusion is, the lack of demand for money, especially the shrink of "effective demand for commodities", is the root of the crisis of capitalism. Therefore, to find the origin, nature and periodic trends of the crisis, profound study on the demand for money and related monetary market should be made. In this sense, Rosa Luxemburg emphasizes that the problem of accumulation, i.e, “realization of surplus value for the purpose of capitalization” is the most difficult but important issue in the study on enlarging reproduction and the crisis in capitalist society. III. Where does "the effective demand for commodities" come from? The information mentioned above indicates that "the effective demand for commodities" is an issue concerning the realistic conditions and practice of accumulation. It is out of the range of Marx's diagram of enlarged reproduction. However, the Narodniks and legitimate Marxists of Russia remained adamant about the diagram, trying to eliminate the crisis in the 1870s and 1880s by following Marx's diagram. They naively believed that, as long as the capitalist production followed the proportion between the means of production and means of consumption under Marx's diagram as “run smoothly with clockwork precision”, the crisis would be eliminated and there would no obstruction for the capital accumulation so that the capitalist reproduction can be expanded without limit. Rosa Luxemburg believed that, the abuse of Narodniks and legitimate Marxists of Russia of Marx's diagram of enlarged reproduction did not reveal the essence of the crisis of capitalism, but proved that "the new foundation of socialism had been frail and jerry-built” in haste so that it is extremely harmful. To effectively disprove the opinions of the Narodniks and legitimate Marxists and explain the crisis in the 1870s and 1880s in a scientific way, she put forward her own diagram of accumulation of capital based on modification of Marx's diagram. Rosa Luxemburg believed that Marx's diagram of enlarged reproduction should not be simply applied to analyse the crisis in the 1870s and 1880s, because the prototype of Marx's diagram is the capitalist society of UK and it only covers the issues concerning accumulation and crisis in the pure capitalist society only with two classes, namely capitalists and workers, without mentioning other issues concerning accumulation and crisis where capitalist society and non-capitalist society coexist. Therefore, she believed it was "more fit for fully developed capitalist economy”, and was not fit for the current world economy. Currently, the development of world economy is still far away from the development of the pure capitalist society under the assumption of Marx, and also "far away from the mature stage of capitalism with periodic crises as designed in Marx's schema. The world market is still developing. Germany and Austria entered the massive industrial production stage in the 70s, while Russia in the 80s; to a large extent, France is still at a stage for small-scale production; many countries of the Balkans have not get rid of the limitation of natural economy; the America, Australia and Africa didn't start large-scale and frequent commodity exchange with Europe until 80s. Therefore, on the one hand, we have stopped sudden and saltatory exploitation in new fields of capitalist economy on periodic basis in the 70s, and got rid of the crisis following that, namely the so-called "young crisis". On the other hand, we have not become aware of that the world market have been developed and consumed to such an extent that fatal and periodic collision between productivity and market framework, namely the "old crisis", will happen. We are at a stage that crisis will not come with prosperity or recession of capitalism. The characteristic of the transition period is the process of depression generally shown in the recent 20 years, namely the alternation of short-term prosperity and long-term depression" Rosa Luxemburg believed that the accumulation and crisis of the age of imperialism in the 1870s and 1880s should be explained based on then economic conditions. In this way, she transformed the prototype of the study of Marx on capitalist society and found the "effective demand for goods". Rosa Luxemburg discovered that, the "effective demand for commodities" came from "non-capitalist strata and countries". Particularly, she emphasized the significance of non-capitalist countries to accumulation of capitalist countries. She set the industrial development of UK as an example. Firstly, in terms of the demand for consumer goods, “during the first two-thirds of the nineteenth century, and to some extent even now, has been supplying cotton textiles to the peasants and petty-bourgeois townspeople of the European continent, and to the peasants of India, America, Africa and so on. The enormous expansion of the English cotton industry was thus founded on consumption by non-capitalist strata and countries.” Secondly, in terms of the demand for means of production, in early 19th century, UK made the value of capitalist means of production realized in a number of American and Australian countries other than the capitalist society by providing these countries with materials for building railways. In that time, “the railways in this case provided only one of the first conditions for the inauguration of capitalist production.” This stimulated the increase of the means of consumption, and the capitalist countries got a good development during the process. From this Rosa Luxemburg drew the conclusion that “if it were dependent exclusively on elements of production obtainable within such narrow limits, its present level and indeed its development in general would have been impossible. Form the very beginning, the forms and laws of capitalist production aim to comprise the entire globe as a store of productive forces. Capital, impelled to appropriate productive forces for purposes of exploitation, ransacks the whole world, it procures its means of production from all corners of the earth, seizing them, if necessary by force, from all levels of civilization and from all forms of society. The problem of the material elements of capitalist accumulation, far from being solved by the material form of the surplus value that has been produced, takes on quite a different aspect. It becomes necessary for capital progressively to dispose ever more fully of the whole globe, to acquire an unlimited choice of means of production, with regard to both quality and quantity, so as to find productive employment for the surplus value it has realized.” As a conclusion, Rosa Luxemburg put forward her own diagram of accumulation of capital. Rosa Luxemburg's capital accumulation schema may seem opposite to Marx's. 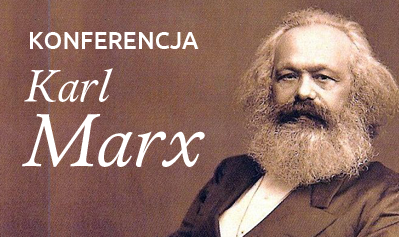 Marx's schema focuses on technical relationship between the means of production and consumption, emphasizing that the increase of the means of production is superior to the increase of the means of consumption, while latter is controlled by the former. However, Rosa Luxemburg's schema focuses on the realistic and practical relationships between the means of production and consumption, making the increase of the means of consumption superior to the increase of the means of production. This is the basis of all the criticisms of economists on Rosa Luxemburg's schema before the 1990s and the basis of the credit and praise of the economists on Rosa Luxemburg's schema after the 1990s. The difference between the two diagrams just depends on the research paradigms adopted by the economists: those who criticized Rosa Luxemburg's diagram adopted the productivism-based research paradigm, while those who gave credit and praise adopted monetarism-based research paradigm. In my opinion, Rosa Luxemburg’s capital accumulation schema is not opposite to Marx’s because Luxemburg put forward the new schema to address the question that Marx’s could not solve, i.e. where does the capital demand come from? Rosa Luxemburg considered it not a technical question, but a practical one. She added the actual practical element in the capital accumulation schema to address the technical difficulty in Marx’s capital accumulation schema. Her analysis to the industrial development of the UK clearly reflected that her schema actually solved the problem. Therefore we can make such a conclusion: Rosa Luxemburg did not abandon Marx’s capital accumulation schema, but put it in a practical and wider context to address the problems. Therefore her schema has a better interpretation effect than Marx’s. This lies in not only the explanation to the capital accumulation possibility, but also in the explanation to the capitalist crisis. We can take the three crises in the 19th century for example. The first two crises happened in Western Europe and the third in Russia. The regional transfer shows two quite different crises: Western Europe was the origin of capital and the internal crisis showed the internal contradiction of the capitalist production pattern. Marx’s capital accumulation schema was worked out from reflection of the crisis and was effective to interpret the two crises. It was different in Russia. Russia embarked on the capitalism road under pressure of Western Europe. Its crisis lied in the economic, political and spiritual suppression from Western Europe. Therefore the crisis of Russia was not only the internal contradiction of the capitalism, but also the contradiction between the capitalist countries and non-capitalist countries. Marx’s pattern could not explain such a situation. Rosa Luxemburg put forward her capital accumulation schema to interpret the third crisis. In comparison, legitimate Marxists in Russia considered the crisis a domestic one and tried to mechanically explain it with Marx’s capital accumulation schema, which was out of fashion. IV. Who is the victim of crises? According to Rosa Luxemburg, “effective demand for commodities” is not enough to explain the possibility of accumulation of capital and the crisis in age of imperialism. We must explain how the non-capitalist countries became demanders for commodities in the capital globalization and how the capitalist countries acquired the demand. In Luxemburg’s opinion, the non-capitalist countries have no willingness or requirement on goods exchange in the natural economic status. Therefore they could not automatically become the demander for commodities. If we insisted that they were the demander for commodities, it must be from the potential and abstract meaning. From the practical angle, the non-capitalist countries must experience the capitalization process to become the demander. The essence of the process was to destroy the non-capitalist countries’ natural economy and force them to take on the economic development path of capitalism so as to nurture the demand on goods exchange. In the process, the positive and active subject was the capitalist countries while the non-capitalist countries were the passively involved object. That means the demand on goods of the non-capitalist countries was not its own willingness, but the willingness of the capitalist countries. It reflected the thirst for capital accumulation of capitalism. Capitalist countries controlled the non-capitalist countries and decided in what sense and in which way non-capitalist countries became “demander for commodities”. This structured the internal contradiction of the capital accumulation, “capitalism needs non-capitalist social organisations as the setting for its development, that it proceeds by assimilating the very conditions which alone can ensure its own existence.” In Luxemburg’s opinion, the internal contradiction was not a fictional logic one, but actual contradiction happened in history. This process can be divided into three phases according to characteristics of the relationship between capital and the social environment of non-capitalist countries: the first phase was the “struggle of capital against the natural economy”, which was a process that capitalism grew from the feudal society; the second phase was “the struggle against commodity economy”, which was a process that capitalism grew from the society of agriculture and handicraft industry with simple commodity production. The third phase was “the competitive struggle of capital on the international stage for the remaining conditions of accumulation”. The capital accumulation of first two phases happened only in the capitalist society of Western Europe. The completion of the two phases indicated that “after substituting commodity economy for natural economy, capitalist takes the place of simple commodity economy”. When capitalist economy entered into the monopoly stage, the financial capital emerged. Therefore, the financial capital was the typical economic form of capitalism in the age of imperialism. For the formation, nature and characteristics of financial capital, Hobson, Hilferding and Lenin of the same period of Rosa Luxemburg had made detailed interpretation. They clearly defined the imperialism as the financial capitalism and pointed out the monopoly nature of financial capital. The financial capital must cause capital export and accordingly cause the fighting for colonies across the world. They also expatiated on the role of international trade, tariff policy and international lending in the capital accumulation. It can be said in this way: they had made careful observation and research to all economic phenomena occurred in the age of imperialism. However, they examined the relationship between the financial capital and capital accumulation from the angle of inner dynamics of capitalist development. Therefore, they emphasized that the capitalist domestic market was the most important and the overseas market was supplement to the domestic market. Different from them, Luxemburg’s observation to capital accumulation was not limited to the financial capital. In her opinion, financial capital was only a part and a form of the capital accumulation. The key was to reveal the rules of capital accumulation and explain the characteristics and actual movement of the capital accumulation in the age of imperialism from the angle of the historical environment, and limit of capital accumulation in the process of capitalist development. In this way, Rosa Luxemburg freed the capital accumulation from the traditional framework and put it in the context of global market. She created the dualism research framework of capitalism and non-capitalism. In this framework, the overseas market was considered the precondition of capital internationalization and given to the first position. Luxemburg examined the capital accumulation from this precondition and put forward her opinion. She emphasized that the capital accumulation could not last without limitation. It was subject to various limitations on each step such as pressure from the overseas market, resistance from the non-capitalist economic forms. All these limitations could hinder the accumulation of capital and cause economic crisis. In the end, it was constrained by the limited resources of the earth. It means that when all the non-capitalist societies became the capitalist society and all available resources were exhausted, accumulation of capital became impossible and capitalist economy would come to the end. Therefore, she repeated that “after a certain stage the conditions for the accumulation of capital both at home and abroad turn into their very opposite----they become conditions for the decline of capitalism. The more ruthlessly capital sets about the destruction of non-capitalist strata at home and in the outside world, the more it lowers the standard of living for the workers as a whole, the greater also is the change in the day-to day history of capital. It becomes a string of political and social disasters and convulsions, and under these conditions, punctuated by periodical economic catastrophes or crises, accumulation can go on no longer. But even before this natural economic impasse of capital’s own creating is properly reached it becomes a necessity for the international working class to revolt against the rule of capital.” So Rosa Luxemburg closely linked the capital accumulation with crisis and outlined the picture of world history of the age of imperialism. In this picture, capital accumulation was always accompanied by crisis. Crisis was the adverse side of the capital accumulation and broke out from the obstacles of the capital accumulation. Therefore crisis was the necessary phenomena in the process of capital accumulation. Capital accumulation cleaned the road forwards in the process of overcoming the crises. However, it was not an unlimited process or an ascending process, but a downward one in which the capitalism comes to the end. In this process, socialist revolution and anti-colonialism struggle became necessary. Putting the overseas market on the top, Rosa Luxemburg especially emphasized the “colonist policy, an international loan system------a policy of sphere of interest -------and war” when examining the capital accumulation means. In her opinion, these means were what the capitalist countries adopted to exploit and plunder the natural resources and labor force of the non-capitalist countries, and to transfer the potential or outbreak economic crisis to the non-capitalist countries. No matter in the former condition or in the later, the non-capitalist countries were the victim. By examining imperialism wars and consequent international lending and tariff protection policies of the Western European powers in scrabbling for colonies in the non-capitalist countries of Asia, Africa and America, Rosa Luxemburg testified that in the age of imperialism, accumulation of capital was worldwide efforts and the crisis was bound to be a worldwide crisis. Accumulation of capital was realized at the expense of the non-capitalist countries and the non-capitalist countries were deemed to be victim. She made such conclusion after investigation the struggle of West capitalist power against natural economy and commodity economy that “The general result of the struggle between capitalism and simple commodity production is this: after substituting commodity economy for natural economy, capital takes the place of simple commodity economy. Non-capitalist orgaisations provide a fertile soil for capitalism: more strictly: capital feeds on the ruins of such orgaisations, and although this non-capitalist milieu is indispensable for accumulation, the latter proceeds at the cost of this medium nevertheless, by eating it up. Historically, the accumulation of capital is a kind of metabolism between capitalist economy and those pre-capitalist methods of production without which it cannot go on and which, in this light, it corrodes and assimilates.” She made the same conclusion after investigating how the international loan made the non-capitalist countries going to bankruptcy from in-debt that “The Oriental states cannot develop from natural to commodity economy and further to capitalist economy fast enough and are swallowed up by international capital, since they cannot perform these transformations without selling their souls to capital.” Therefore the capitalist countries’ capital accumulation was realized at the expense of non-capitalist countries, whether by means of war, or seemingly peaceful and equal international lending. As a result, the non-capitalist countries were the real victim of capital accumulation, i.e. crisis. From the point of view, she said to eliminate crisis, we must eliminate capital accumulation. Only by means of worldwide socialist revolution and replacing the capitalist economic form with the socialist economic form can the crisis really be eliminated. Precisely, Rosa Luxemburg did not offer specific solutions like Lenin to how non-capitalist countries got rid of the economic, political and war crisis. She made diagnosis to crisis by examining the natural and internal mechanism of capital accumulation. The diagnosis offers a theoretic basis for us to address 2008 global financial crisis. Maybe we could not use the term “capitalism and non-capitalism” when we think of the world structure of the financial crisis because the primitive natural economy of the former capitalist society that Rosa Luxemburg examined did not exist any longer after a century-long capitalization. The opposition between capitalism and non-capitalism had transferred to the opposition between developed capitalist countries and underdeveloped countries. However, Rosa Luxemburg dualism basic structure of “capitalism and non-capitalism” emphasized the dominate position of capitalist countries in the capital accumulation, stuck to the basic thinking of examining the capital accumulation movement from the historical environment and limits of capital accumulation, revealed the dialectics of capital accumulation and crisis. Her theory was useful for recognizing the nature of the ongoing world financial crisis and looking for a path of getting rid of crisis for the underdeveloped countries. From this point of view, it can be concluded that The Accumulation of Capital was a valuable intellectual heritage bequeathed by Rosa Luxemburg to us. [①] Rosa Luxemburg: The Accumulation of Capital, translated by Agnes Schwarzschild, Routledge, 2003, p.3. [②] Rosa Luxemburg: The Accumulation of Capital, translated by Agnes Schwarzschild, Routledge, 2003, p.3. [③] Rosa Luxemburg: The Accumulation of Capital, translated by Agnes Schwarzschild, Routledge, 2003, p.204. [④] Rosa Luxemburg: The Accumulation of Capital, translated by Agnes Schwarzschild, Routledge, 2003, p.204. [⑤] Rosa Luxemburg: The Accumulation of Capital, translated by Agnes Schwarzschild, Routledge, 2003, p.212, p.213. [⑥] Rosa Luxemburg: The Accumulation of Capital, translated by Agnes Schwarzschild, Routledge, 2003, p.244. [⑦] Rosa Luxemburg: The Accumulation of Capital, translated by Agnes Schwarzschild, Routledge, 2003, p.302. [⑧] Rosa Luxemburg: The Accumulation of Capital, translated by Agnes Schwarzschild, Routledge, 2003, pp.304-305. [⑨]Rosa Luxemburg: The Accumulation of Capital, translated by Agnes Schwarzschild, Routledge, 2003, p.190. [⑩]Rosa Luxemburg: The Accumulation of Capital, translated by Agnes Schwarzschild, Routledge, 2003, pp.244-245. Author note: Essentially, Marx's expanded reproduction schema is about capital accumulation. Therefore, it is also a schema of capital accumulation. Rosa Luxemburg: The Accumulation of Capital, translated by Agnes Schwarzschild, Routledge, 2003, p.99. Rosa Luxemburg: The Accumulation of Capital, translated by Agnes Schwarzschild, Routledge, 2003, p.104. Rosa Luxemburg: The Accumulation of Capital, translated by Agnes Schwarzschild, Routledge, 2003, p.110. Rosa Luxemburg: The Accumulation of Capital, translated by Agnes Schwarzschild, Routledge, 2003, p.143. Rosa Luxemburg: The Accumulation of Capital, translated by Agnes Schwarzschild, Routledge, 2003, p.293. Rosa Luxemburg: The Accumulation of Capital, translated by Agnes Schwarzschild, Routledge, 2003, p.305. Rosa Luxemburg: The Accumulation of Capital, translated by Agnes Schwarzschild, Routledge, 2003, p.332. Rosa Luxemburg: The Accumulation of Capital, translated by Agnes Schwarzschild, Routledge, 2003, p.333. Rosa Luxemburg: The Accumulation of Capital, translated by Agnes Schwarzschild, Routledge, 2003, p.338. Rosa Luxemburg: The Accumulation of Capital, translated by Agnes Schwarzschild, Routledge, 2003, p.346. Rosa Luxemburg: The Accumulation of Capital, translated by Agnes Schwarzschild, Routledge, 2003, p.348. Rosa Luxemburg: The Accumulation of Capital, translated by Agnes Schwarzschild, Routledge, 2003, p.397. For detailed exposition about this issue, see Determinism and Non-determinism of Marxist World History Theory – A Comparative Research on Marx, Luxemburg and Lenin, He Ping. Philosophical Investigations, Issue 3, 2008. Rosa Luxemburg: The Accumulation of Capital, translated by Agnes Schwarzschild, Routledge, 2003, p.447. Rosa Luxemburg: The Accumulation of Capital, translated by Agnes Schwarzschild, Routledge, 2003, p.432. Rosa Luxemburg: The Accumulation of Capital, translated by Agnes Schwarzschild, Routledge, 2003, p.419.